Together with Topside and Silverside this makes up part of the rump. A lean roasting joint. 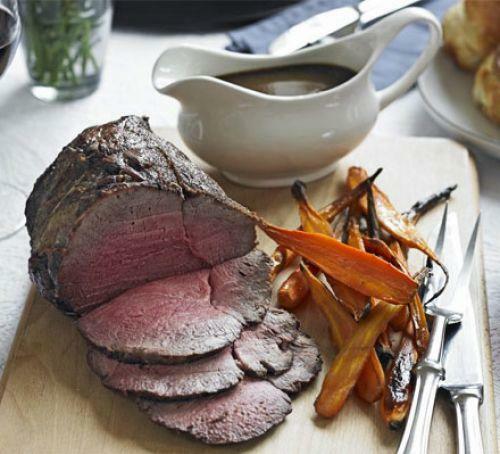 Ideal for a centrepiece Sunday lunch or as a mid week dinner. Sear quickly and as its Grass fed cook it at a slightly lower heat, about 170 degrees. for 20mins a kilo. Let it rest for at least 25mins while you make the Yorkshires and serve it rare. Amazing the next day in sandwiches. Alternatively braise it slowly with vegetables and Guinness, while you go for a walk.